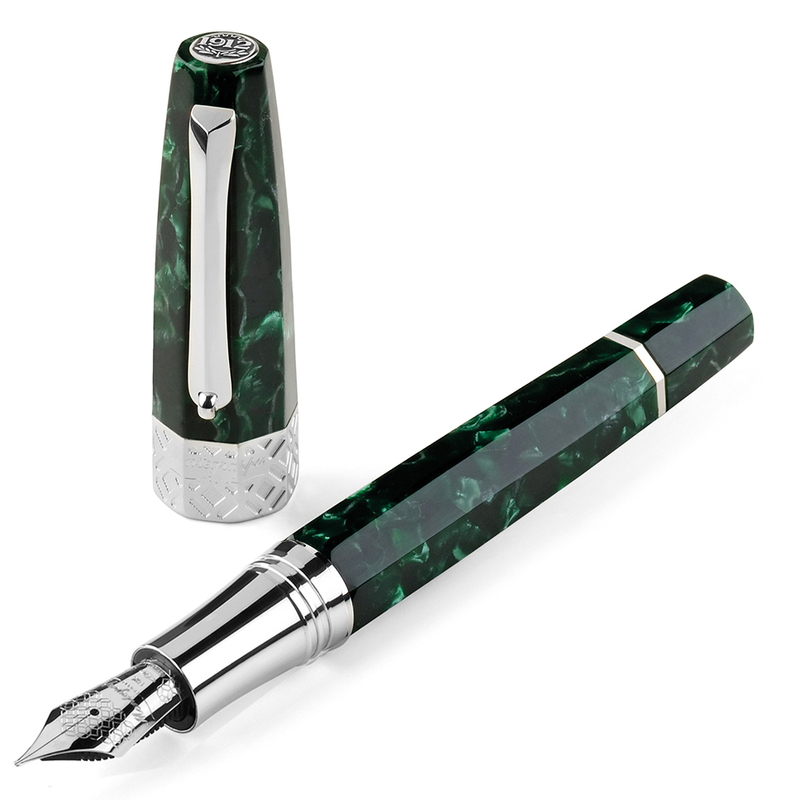 The Extra Arte Deco from Montegrappa. 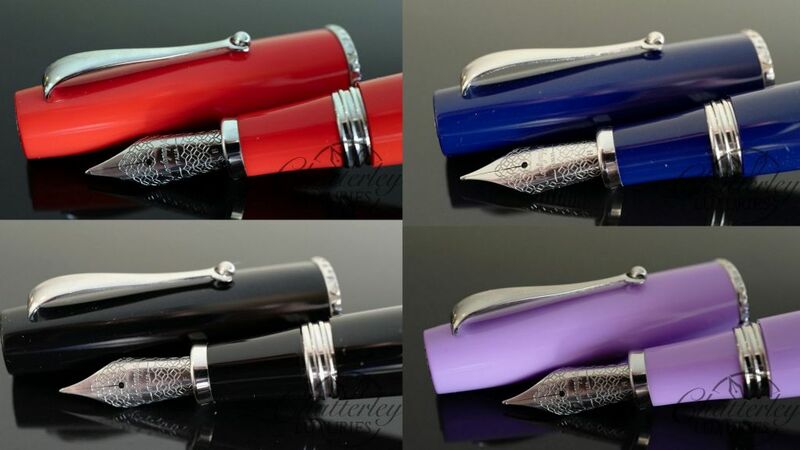 A USA Exclusive pen limited to only 50 pens! 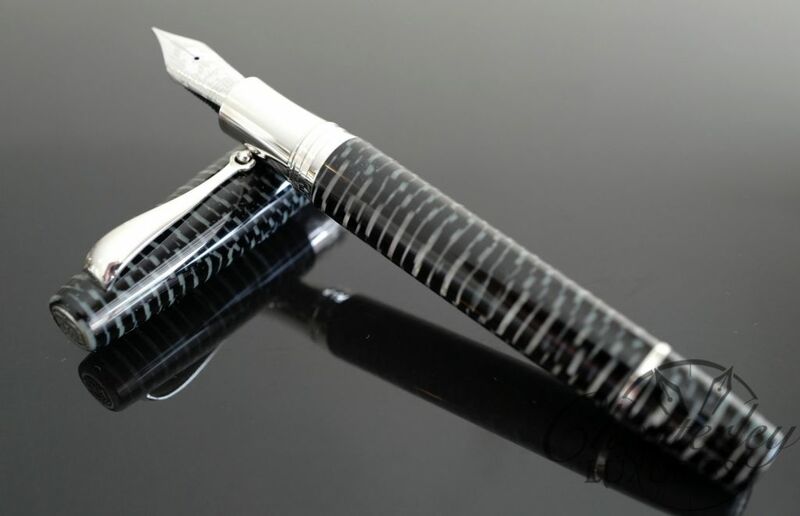 Limited Edition pen made from true Celluloid and with Sterling Sliver trim with the Cap band finely engraved. 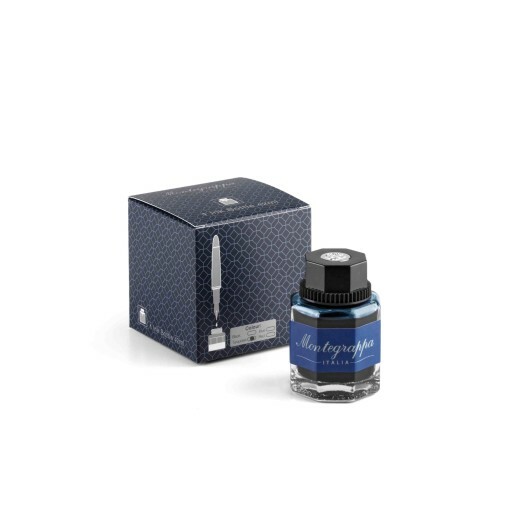 It fills via piston filler and boast the oversize #8 nib with an Ebonite feed! The nib also has a special Art Deco Engraving. 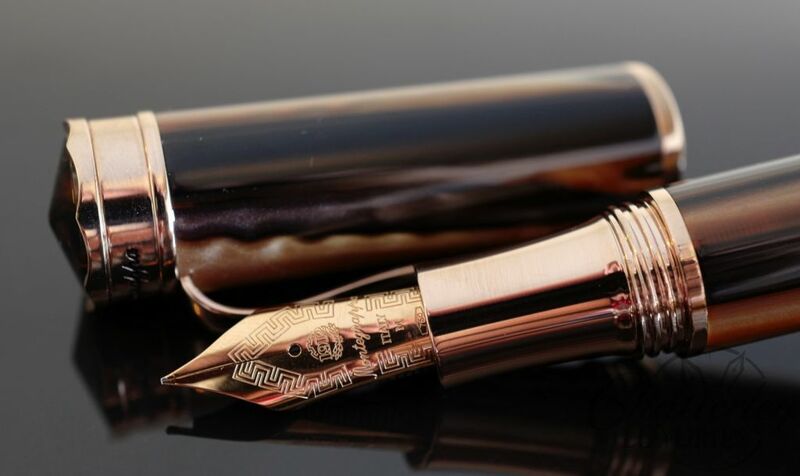 Art Deco was announced to the world in the 1925 Exposition Internationale des Arts Décoratifs et Industriels Modernes in Paris, not as a new movement but one that had been in development for more than a decade. The exposition was a World’s Fair-styled spectacle lasting six months and covering 57 acres in Paris. A popular show based on the exposition toured the United States the following year. In 1927, Macy’s department store held an influential Art Deco exhibition highlighting eight architects, including Raymond M. Hood, chief designer of Rockefeller Center, and Joseph Urban, set designer and architect of Mar-A-Lago in Palm Beach, Florida. The rise of Art Deco coincided with the scramble to erect skyscrapers, and its influence is felt across America. Designed in 1928, the Chrysler Building is considered one of the most iconic and most ubiquitous examples. The work of architect William Van Alen, its stainless steel spire with a scalloped base make it instantly recognizable. Art Deco was the design choice for movie theaters of the era, such as Grauman’s Egyptian Theater in Los Angeles and Radio City Music Hall in New York City. Art Deco was also the guiding principle for stylish transportation, such as Bugatti Type 57SC Atlantic automobiles, trains like Henry Dreyfuss’ 20th Century Limited and luxury liners like the Queen Mary.